Your Weekly Update April 1… no joke! Posted April 1, 2011 by Corey Tufts & filed under Uncategorized. Even though it’s April fool’s, don’t worry there are no jokes from us, we promise!! We hope you all had a beautiful sunny week! It was such a great week to get outside and get some Vitamin D… and the waves weren’t too bad either. The sun seems to be helping out the produce and everything is finally drying out. Sometimes too much rain can be a bad thing for growing (especially strawberries). For those of you who asked, we will get some avocados soon, but right now the supply is still suffering from that crazy freeze we had and prices are way high! Let your friends know about Golden Gate Organics, and if they sign up we’ll give you a $10 credit towards your next order. Just our way of saying thanks. Please remember to leave your box from your last delivery out on your delivery day so we can pick them up and reuse or recycle them. Same goes for the eco-bags we use (although we just recycle those). Your order is ready for you to log in and make subs. Just sign into your account and if you see something you want to sub out, all you have to do is click on it and choose a replacement. If you have any questions, you can reply to this email or send us a note on our contact page. Have a great week everyone, hope you make it to the beach this weekend! Rain rain.. and weekly updates! Posted March 25, 2011 by Corey Tufts & filed under weekly update. It’s Friday!! What a rainy week it has been, but you know what they say. March Showers have to end sometime! Maybe that’s not quite the saying, but anyways, Spring is officially here and we have some really great menu’s this week. The eggplant is looking fantastic, strawberries continue to be strong and delicious (hopefully the rain lets up and doesn’t drown them), and the green onions will be smelling especially fresh and delicious. Lots of new friends joining us this week (don’t forget to tell yours about us! ), so we want to remind you to save your boxes!! We re-use and recycle everything possible, so save your box! Then you can leave it out on your next delivery day and our drivers will pick them up. Posted March 18, 2011 by Corey Tufts & filed under organic produce delivery, weekly update. 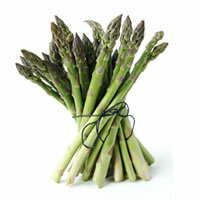 We have some really awesome Asparagus for this week, and the Strawberries have been absolutely amazing lately. This is a fun time of year for cooking as the season is changing (especially on cold rainy days like today), and we’ve put together a really great menu for you this week! Please remember to leave out your box for your driver to pick up on your delivery day. We reuse and recycle everything possible. We have a site of the week for you to visit: www.Kiva.org, it’s a site that enables you to help people in third world countries. Check it out, we’re big fans, and so is Oprah! Orders are ready for you to log in and make subs. Just sign into your account and if you see something you want to sub out, all you have to do is click on it and choose a replacement. If you haven’t signed up yet, don’t worry! There is still time to sign up and get a delivery next week, just make sure you sign up before Monday. If you have any questions, send us a note on our contact page. Have a great week everyone, enjoy your organic produce, and always bring an umbrella! Posted March 11, 2011 by Corey Tufts & filed under Uncategorized. We’ve been watching the news all morning and our thoughts go out to all those in Japan. To all our friends living near the coast, please be safe out there! We’ll keep this week’s update short. Your order is ready for you to log in and make subs! Just sign into your account and if you see something you want to sub out, all you have to do is click on it and choose a replacement. If you have any questions, you can send us a note on our contact page. Have a great week everyone, don’t forget that this weekend is daylight savings time, and enjoy the produce! Organic You Say? 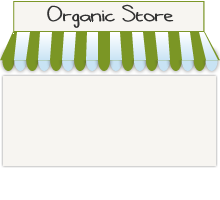 Why Choose Organic Produce? Posted March 9, 2011 by Corey Tufts & filed under Uncategorized. There are so many reasons to choose organic produce over ‘conventional’ produce and any number of them are worthy enough to be a deciding factor. Whether you care about the environment, your health, where your food comes from, or are simply a huge fan of actually tasting food, we have a new page you should check out on why you should eat organic. Get a brush up on the basics of organic, learn why organic food rules, get the low-down on the healthy benefits of organic food, and keep on your toes by learning about GMO. Who Loves Organic Strawberries? We do. Posted March 3, 2011 by Matt Kalebic & filed under fruit, organic produce delivery. As the tangy aftertaste of National Grapefruit Month leaves us, it becomes time for strawberry season to start. Valentine’s Day may have passed, but these delectable, tasty heart shaped fruits are sure to make their way onto your plates in the next few months. But before I launch into all the benefits of this fruit, allow me to give you a brief background on it. Strawberries were first mentioned by the ancient Greeks and Romans as “Alpine berries,” and were cultivated in the Middle Ages for their medicinal values. They were said to calm the nerves, soothe sunburn, and even possess antibacterial properties! Now, I’m not suggesting that you take a bath in strawberry juice or carry around a vial of crushed strawberry as an alternative to hand sanitizers, but those seem like some berry good health benefits! In addition to their delicious flavor and unique texture, strawberries are an excellent source of nutrients. One cup provides 136% of your daily Vitamin C needs and a fair amount of manganese and dietary fiber. Because of its high Vitamin C content, the strawberry has even been shown to help protect against rheumatoid arthritis! Both your taste buds and your joints will be happy! 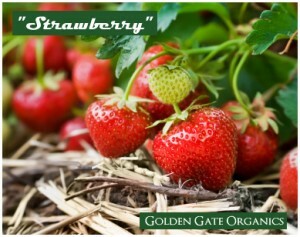 Did you know California produces nearly 83% of all the strawberries grown in the US? It seems as if there’s no better place to live when it comes to getting fresh fruits and vegetable! Cooking tip: Try mixing strawberries with some balsamic vinegar and a touch of pepper for a unique snack! And if vinegar isn’t your thing, you can whip up some heavy cream and serve the strawberries with a dollop of your homemade whipped cream and some raw honey. Eat Like a Movie Star! Posted February 28, 2011 by Matt Kalebic & filed under organic, organic produce delivery. And by that, I mean eat organic. While we’re home vegging out on our couches after watching the Academy Awards tonight, the celebrities over in Hollywood will be eating food that is exclusively organic and sustainable. The dinner has been prepared for the past 17 years by chef Wolfgang Puck, and this year will be no different in its featuring of delicious dishes: spicy tuna tartar stuffed miso cones and a huge seafood buffet are only some of the options for these health-conscious stars. All the ingredients are listed on the Monterey Bay Aquarium’s Seafood Watch Program, so the hungry will feel no guilt as they indulge themselves! I’m sure the way he’ll prepare these organic fruits and vegetables will make them taste another 99 percent better! I, for one, was salivating at the prospect of trying his “’real California salad’ served with a puree base of celery, apples, lemons, and olive oil.” If only he would come over to San Francisco… But hey, if you’re feeling inspired, try and combine the produce in your next delivery box into a Governor’s Ball inspired delight! Posted February 25, 2011 by Corey Tufts & filed under weekly update. What a crazy week it’s been in the produce world. While farmers in Southern California are still reeling from the unexpected freeze several weeks ago, the flurry of rain lately has slowed the opening of the California Strawberry season. The first crops of Strawberries are arriving though, and will only get stronger, while California Blueberries are just around the corner. The oranges are going to be awesome this week, and don’t forget, it’s National Grapefruit month so there are Grapefruit on the base menu for the mixed & fruit boxes. Have a great week everyone and enjoy the produce! It’s National Grapefruit month! The end of February is almost here, so the time to celebrate grapefruit is now. Bursting with vitamin C, Grapefruit is a perfect low sodium snack and can help lower your cholesterol. A perfect way to start the day is with a nice organic grapefruit. It’s great for breakfast, try cutting one in half and sprinkling just a little bit of sugar over the top. Those are some very different ways to use a grapefruit, but they sure are awesome. Cooking tip: try slices of grapefruit on your next chicken salad or as a garnish for cheesecake. Uncommon ideas that are surprisingly delicious! Posted February 16, 2011 by Corey Tufts & filed under Uncategorized. 5 Years ago in 2006 I had no idea what Organic food was. Sure I had heard of it but never really understood what it was, nor did I really care. I was content eating my Taco Bell meals with Mountain Dew to wash ’em down. By this time I had been married to my wife, Tiffany, for around 3 years and she loved Taco Bell as much as I did. Looking back now, it was around that time Tiffany, due to some personal reasons, started to become more conscious of the food she and I were eating. I continued eating whatever was cheap and easy, mainly Hamburger Helper and Tostito’s Pizza Roles, with Ranch. I also started to hear about things like “MSG’s”, “High Fructose Corn Syrup”, and “Organic”. I even started paying attention, mostly because Tiffany made me. She wouldn’t eat anything with MSG’s or High Fructose Corn Syrup. She would explain what a Free Range Chicken is and mention that we should buy Organic food. I’m not sure how long it took but I finally started to listen. I have to be honest; at first I didn’t take her to seriously. I thought she was going through a phase. Boy was I wrong. She was serious and it took a while to sink it. It didn’t hurt her case that I started to see Organic sections pop up at supermarkets. I watched documentaries on seed companies that genetically engineer vegetables and fruits. I heard stories on NPR about how most cows are fed corn instead of grass and if people were to cut some meat out of there diet it would do wonders to help combat global warming. Now here we are 5 years later in 2011. What an impact this Organic/Green movement has had on us. I would confidently say that we have done our part to be at the leading edge of this movement. Our incandescent light bulbs were replaced many years ago with compact fluorescent. We continue to recycle and purchase items made of recycled materials. Now we are proud to take a giant step in the right direction by opening Golden Gate Organics and proudly offering you some of the freshest and highest quality Organic produce available anywhere in the Bay Area. Our goal at Golden Gate Organics is to provide industry best customer service while delivering the freshest, healthiest, and most importantly local Organic food. We have pioneered a customer sign-up and account management system that is second to none. No other delivery service allows you to customize your box of fruit and/or vegetables as easily, or as in depth, as ours does. We are very confident that we have a real winner with Golden Gate Organics and look forward to proving that to you, our customer.